Karol-Ann Canuel is already preparing for the 2019 season, in San Francisco accumulating valuable kilometres with former team mate Megan Guarnier. 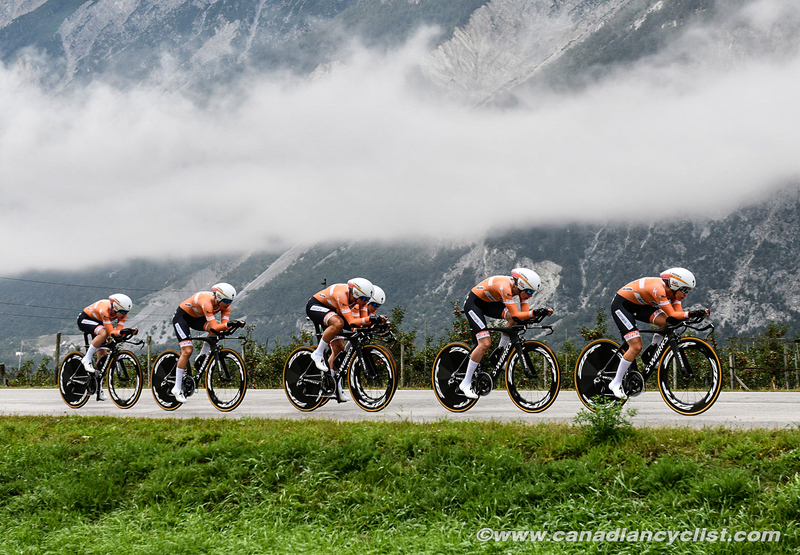 Since a major crash in 2014 at the world championships, the hardworking Canuel has gone on to win a national time trial title, three world championship titles in the team time trial and finished top-6 in the road race at the world championships. 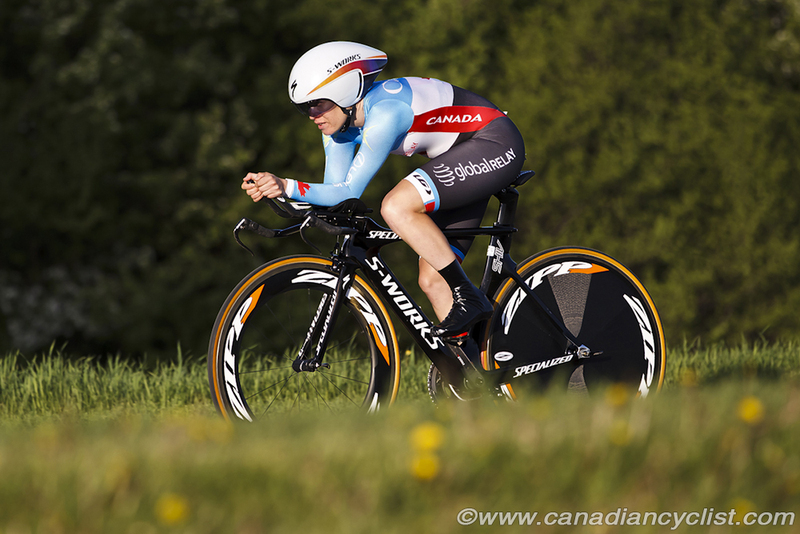 Canuel has developed into one of the top riders in Canada and on Boels-Dolman, arguably the world's top women's team. 2018 was another stand out year for Karol-Ann, a D'Amos, Quebec, native, who has recently re-signed with the Dutch-based UCI team Boels-Dolman for two years. 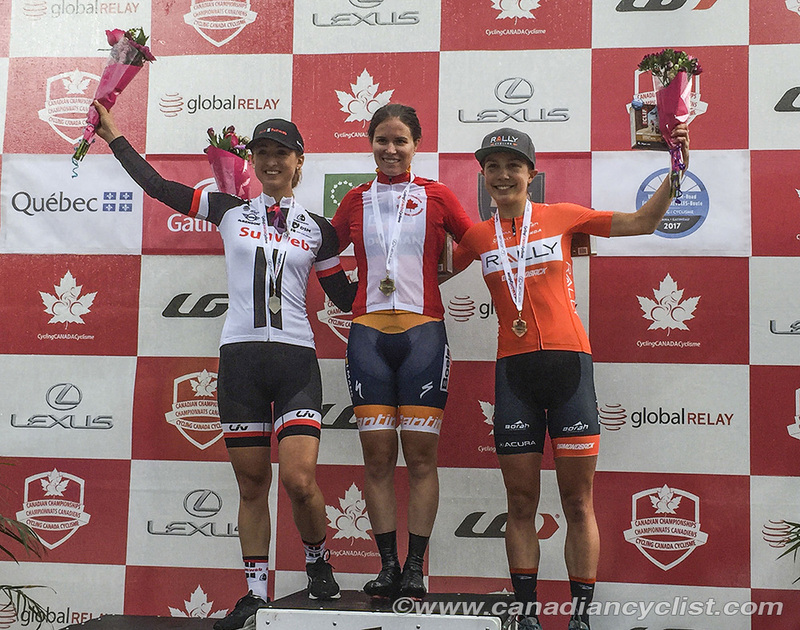 After some close calls during the first part of a season that saw her finish second at both the Grand Prix Gatineau and the Canadian National Time Trial championships, Canuel went on to have a stellar second half of the season, taking her fifth consecutive podium finish in the world team time trial championships, when the team won the silver medal, following that up a few days later by finishing in sixth place at the World Championships in the road race. "It was a weird race, it was so long and so hard," Canuel commented about the Worlds road race. "I just felt like on a mission that day ... For sure I was suffering, but I just really felt great that day ... Some days when you're racing, it's just like that. This was one of those amazing days." Earlier on in the race, Karol-Ann had been dropped and considered abandoning but stayed in the race. "It went really hard up the first climb with the girls from Australia, I think, driving it ... I got dropped, then I was out of the race [the lead group] and thinking 'Okay, it's over, when do I drop out?'. 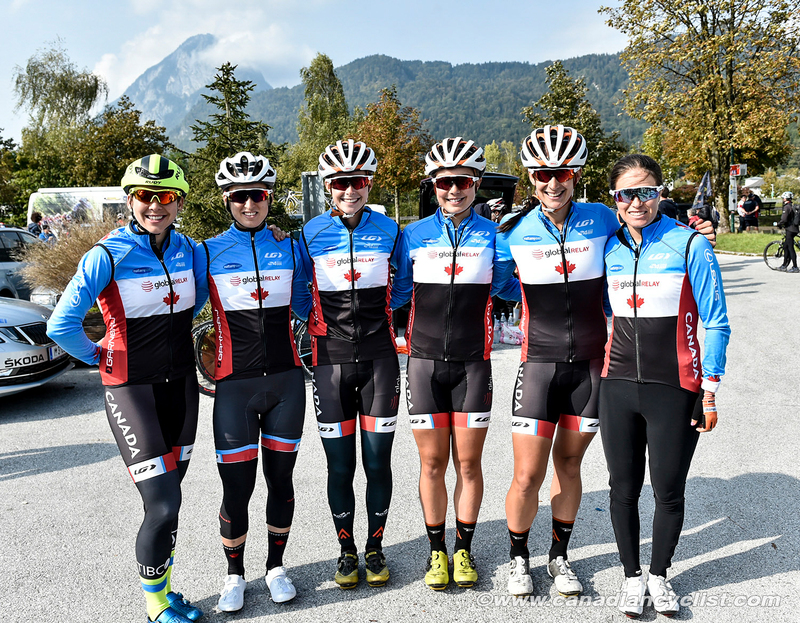 Then [Team Canada teammate] Alison Jackson came up to me and said 'do you want me to ride? I don't think they're that far ahead'." Canuel wasn't sure, but followed Jackson back to the group. Later in the race as the attacks started, she remained calm and held her own in the dwindling lead group. "I felt like I had just one speed; in the group, I couldn't attack but I could just follow and ride the wheels." Canuel also reflects on the team trial ride, a favourite event of hers, where she won her second consecutive silver, to go along with three gold medals [2014-2016]. "It's difficult to know you can win, but then you don't. Second is still a good result and I guess Canyon-SRAM was just stronger that day ... That's bike racing." 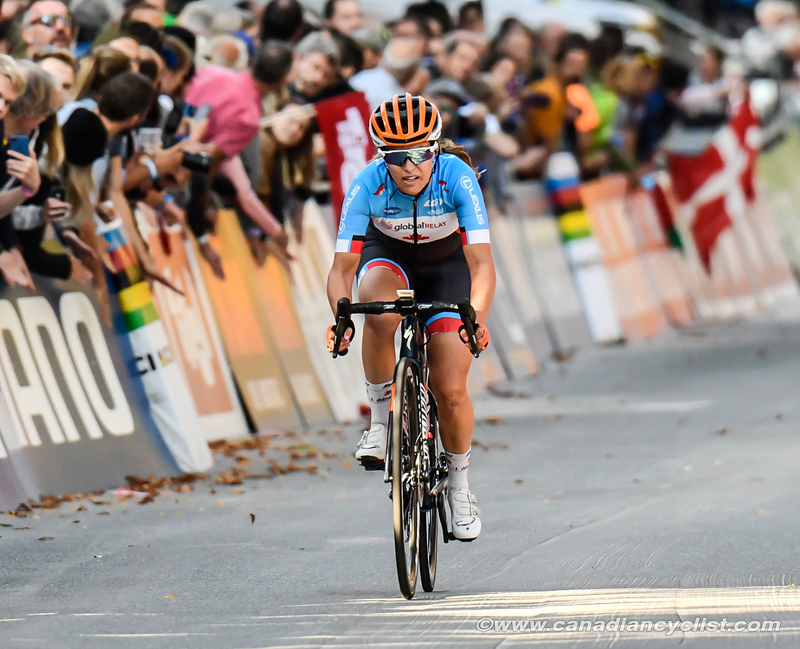 The Worlds road race result stands out as one of the strongest individual performances of her career, and follows a vote of confidence from Boels Dolmans, who asked her to re-sign for two more seasons in August, before the Worlds. Boels-Dolmans team manager Danny Stam views Canuel as a key piece to the team time trial team, and the team as a whole. Calling Canuel a "very underrated rider," Stam points to her extended race resume and consistency. "We contracted Karol-Ann because she is a really good time trialist and climber. But on many more aspects, she is a good addition to the team. She is very calm and very amicable. Karol-Ann is always ready to work for the team and be there for her teammates." Stam said via e-mail. Canuel feels right at home racing for Boels-Dolman, saying her Canadian background has never been a problem. "It's great we're all from all over the place, but we all get along really well and all the girls are super whenever someone else wins." While Canuel is satisfied with what she's been able to achieve thus far, her goals are far from complete as she enters the next part of career. Though she has "no idea" what her race schedule for next season looks like, "I think the big goal remains a win in Europe. I've been improving a lot over here but I still haven't won a big European race."